2019 AQHA foals will be sired by: Blazing Impulsive, Good Bars Kat, Secret Zoom, Firen It Up, Sabres Blue N True, Power Slidin and MJG Dzign by Rooster. We also have a few foals sired by other stallions this year. All foals will be AQHA registered and will be NAERIC enrolled unless otherwise noted. List Below are some of the 2018 foals we still have available. 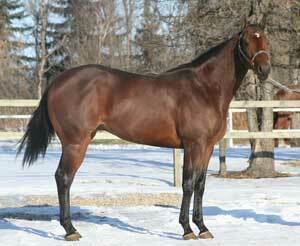 Kat is a point earner himself and the sire to ROM earners, numerous point earners, futurity money earners and more. His offspring have size and great minds. Dam: MS Vested Impulse - own daughter of Blazing Impulsive and out of a daughter of Vested Pine. This is the first time we have done this cross and she is pretty special. Dam: Dressed For Potential - own daughter of Dress Western and out of a daughter of Potential Investment. This is our first pleasure bred baby for 2019 and she is sweet. Secret Zoom has his ROM on the track and is a money earner in the team roping pen. His first foals turned 5 in 2018 and hit the barrel racing pen and the roping arena. The oldest from this cross is started under saddle and he is talented. This foal is eligible for Western Fortunes and CBHI. This filly is a 3/4 sister to Kelsey Wheelers talented mare...Krackle. We have started the oldest from this cross and he is cool. This mare is consistent in what she produces...and this filly fits the mold. Rooster is an own son of Gallo Del Cielo and out of a daughter of Hollywood Dun it. Super cute filly that is bred to perform. This will be our last year for foals sired by Sabres Blu N Tru. 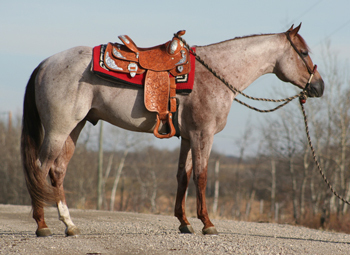 This mare is the dam of future performers. This colt is bred to do a job.